There has always been something of a misconception about those who backed Bitcoin in its earliest stages. Namely, that it was only those really clued into the process of mining tokens, or those who took the chance with the investment, that really profited. It might seem like an obvious one, but it’s not clear how much Bill Gates made from Bitcoin, nor is it clear how he feels about it. On one hand, Gates has cited cryptocurrency as a means to help the world’s poor. On the other hand, Gates has been critical about the decentralised nature of the currency. At one point, he even advised investors to short Bitcoin, which can still be a popular way to make more from the cryptocurrency if you don’t believe its value is sustainable. The Winklevoss twins, Tyler and Cameron, became famous, as depicted in the movie, the Social Network after their legal dispute with Facebook’s Mark Zuckerberg over the founding of the company. The upshot of the twins’ dispute was that they were awarded $65 million in cash and Facebook stock. What did they buy with it? 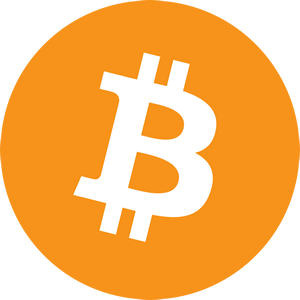 Bitcoin: a lot of Bitcoin at the opportune moment. The Winklevoss twins are widely cited among the first Bitcoin billionaires. It’s always refreshing to see ambitious shops and restaurants with “Bitcoin accepted here” signs, but the inimitable Snoop Dogg actually floated the idea of selling albums for Bitcoin in 2013. The going price back then was said to be 0.3 BTC per album, which would equate to $1,500 per album in 2019. There isn’t a lot of concrete evidence of how Snoop Dogg went about this, so we will have to take it with a pinch of salt. However, Snoop’s fellow rapper, 50 Cent, did release an album in 2014, Animal Ambition, which did gain 700 Bitcoin sales. The fact that 50 Cent reportedly forgot about it, only to discover in 2018 he was sitting on $8 million, has become something of a modern legend. Perhaps the celebrity who is most whole-heartedly supportive of Bitcoin, Gwyneth Paltrow has become the face of Bitcoin wallets and an advisor to companies like Abra. Paltrow has even launched how-to-guides on the basics of cryptocurrency and how to invest in them. Much of the promoting of Bitcoin has come from Paltrow’s modern ‘life-style brand’ Goop. Mark Cuban is famous for many things: Owning the Dallas Mavericks NBA team; being one of the sharks in the NBC series Shark Tank, which is the equivalent of the UK’s Dragon’s Den; and, of course, being a billionaire investor. He has also famously invested in Bitcoin. His advice has essentially been to invest in it if you have the money to spare, noting that it can make you a fortune, but also carries some risks.